In lengthy Facebook post, Cespedes explains why he theorised on gender of Belgian cartoonist Georges Remi’s creation. Tintin is a girl, and most probably asexual. That is the conclusion French philosopher Vincent Cespedes drew after recently rifling through the adventures of the courageous Belgian reporter – “an androgynous redhead with blue eyes”. In a lengthy Facebook post, Cespedes explains why he theorised on the gender of Belgian cartoonist Georges Remi’s creation. The 44-year-old feels there are quite a few clues in Tintin's physical appearance and mannerisms, all pointing towards Tintin being a woman. “It was like a private joke for Herge and his friends,” he says. Vincent goes on to add that Tintin being a girl can explain a lot of strange things. “He could have been disguised as a boy to allow him/her to travel without fear of the misogyny of other cultures, modesty, manners, or the stupidity of prejudices". Cespedes cites two incidents that he believes accidentally manifest Tintin’s gender inclinations. One, when a villain smashes his fist on the wall in The Temple of the Sun, Tintin said "sorry". Second, his “stereotypically feminine” attitude towards a drunk Captain in The Crab With The Golden Claws. Cespedes, on his social media page, claimed that in 1991,actress Judith Godrèche, had taken on the role to play Tintin. According to Vincent this was the first time that Herge chose someone from real life to emulate his character onstage and it was a girl. The 44-year-old says while he is not yet ready to call his Facebook post a theory, he is just happy he started the ball rolling. “Also, Tintin does not exist in real life,” says Cespedes. “He is a fictional character, and everyone has the liberty to think that Tintin could be a girl hidden in that blue sweatshirt, sporting a tuft above that cropped hair. It is art and art is open to interpretation,” Vincent concludes. 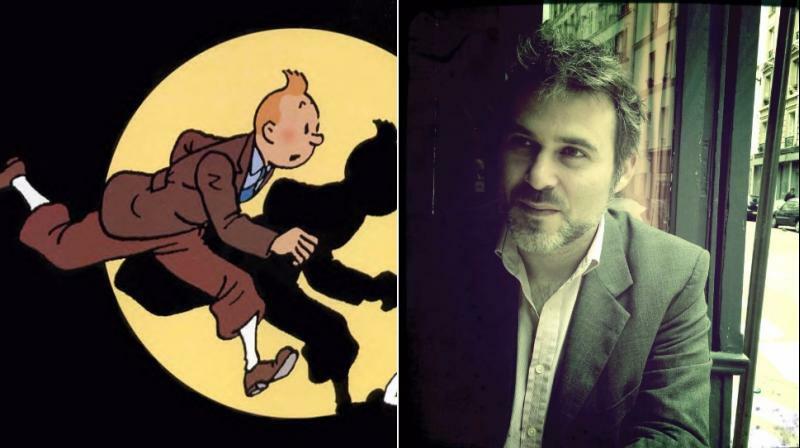 Cespedes believes Herge played a joke on his readers by carefully portraying Tintin as a boy, yet ‘carelessly’ leaving enough clues to accentuate the character’s feminity.